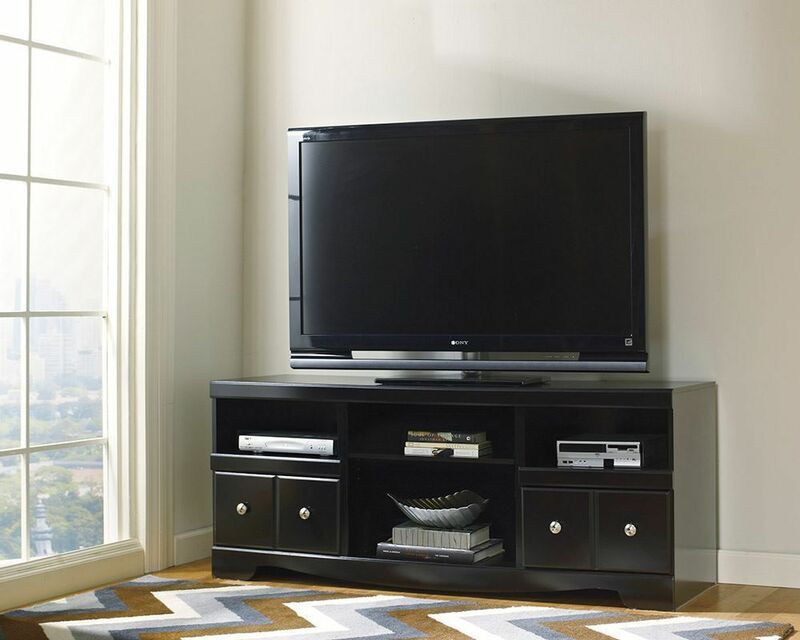 The "Shay" Television Stand will turn that dull living area into a sleek and stylish hangout area. Its rich black finish, merlot accent, straight-lined design, satin nickel color hardware, and multiple compartments for storage are sure to give you that living area that will last a lifetime. 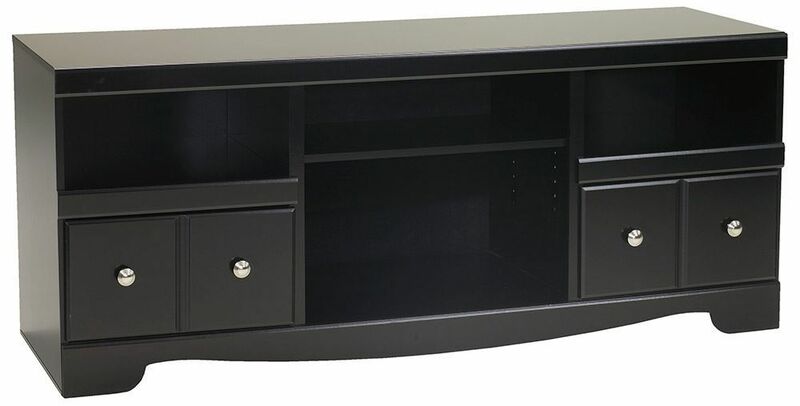 The "Shay" Television Stand will turn that dull living area into a sleek and stylish hangout area.